Betway Casino is part of the Betway Group, founded in 2006. This online company’s initial focus was on sports-betting. Although, since their launch, they have branched out by supplying casino games and poker. The company has built up a solid reputation of a trustworthy operator and is licensed in Malta. Unfortunately, they do not accept customers from the US. MicroGaming acts as the software provider for Betway. Their casino package has a long history and is highly regarded in the industry. The software is only available via their Flash client – playable only in your web browser which you can use on any computer. You can also access via Android devices and there is an app available for both Android and Apple users. The whole look of the website is big and bold – graphics take a prominent role. As you get into the Casino lobby itself, this theme is continued with highly detailed backgrounds promoting different games. There are many games squeezed onto each page – along with an icon. Overall the site has a professional look and a great feel to it. Betway has 10 different Roulette games to choose from, including two with a live dealer. They also offer Blackjack, VideoPoker, Slots, and many other casino options. New players get up to $1,000 Welcome Bonus. Betway Casino probably hosts the widest choice of Roulette games in their Flash client. 10 different Betway roulette games are available in the online and mobile casino versions of the site. Between the 10 roulette variants, players will find a comprehensive range of roulette game experiences. 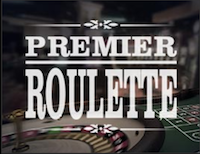 The roulette guide below offers a quick description of each roulette version Betway Casino offers, so you can pick the game you’ll enjoy the most. Single-zero roulette is the game played in Monte Carlo for the past 150 years and the rest of the world for generations. 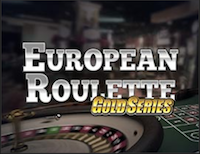 European Roulette has the best house edge, which is 2.70% in standard versions and 1.35% with special house rules. European Roulette’s bet limits are $1 to $1000. Double-zero roulette is the original version of the game, preserved in Las Vegas (and elsewhere in North America) for the past 85 years. 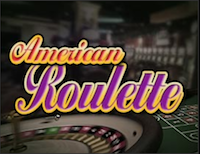 American Roulette has a high house edge of 5.26%, though you will find versions with house rules that make double-zero roulette’s house edge (2.63%) slightly better than traditional European Roulette. Single-zero roulette played with special French bets, also called “announced bets” or “called bets”. 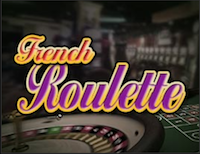 French Roulette has the same house edge as European Roulette, but with a series of exotic betting options that allow players a different gaming experience. This is a version of the French Roulette for high rollers. Players have the option to bet £1000, €1000, or $1000 per spin. French Roulette is the game of choice because it offers the full/complete bet, which maxes out the betting limits with a 12-in-1 bet. For those who prefer enhanced graphics, the Gold Series European Roulette provides sharper graphics, more camera angles, and enhanced sounds. It is the same great game as Betway’s European Roulette, but with better visuals. Bet limits range from $1 to $1000. 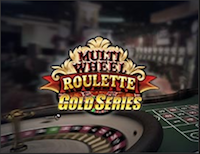 Multiwheel Roulette is a trendy choice for online gamblers. It allows roulette players to bet on up to 8 roulette wheels at a time. Bet limits for Multiwheel Roulette are $1 to $1000, so high stakes gamblers get the biggest bets possible at Betway Casino. 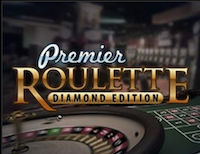 Premier Roulette: Diamond Edition offers 3D graphics for French Roulette. The 3D roulette wheel is the best way to experience online French Roulette at Betway. This is a 3D version of French Roulette with high stakes bets up to £1000, €1000, or $1000 per spin. 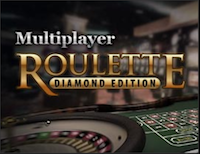 Multiplayer Roulette: Diamond Edition allows casino players to enjoy roulette with friends and family, or play with a table full of new online acquaintances. This is European Roulette played with 3D graphics with a group of real-life casino gamblers. Bet limits are between $1 and $1000. Betway Casino’s roulette game selection provides a full range of the most popular spinning wheel game in the casino. We recommend the 3 versions of Betway roulette below because each provides a completely different gaming experience. All three versions offer roulette played with the lowest house edge. Here are our reasons for why these are our favorite Online Roulette Games from Betway Casino. Up to 8 European Roulette wheels at a time, which increases a player’s chances to win. Better graphics and more camera angles, to enhance one’s enjoyment of the game. A wide range of betting options, so penny players and high stakes gamblers can play multiple spins at once. Enjoy up to $1,000 Welcome Bonus (100% match bonus on 1st deposit) and additional bonuses on 2nd and 3rd deposits. French Roulette at £1000-a-spin for international high rollers. Compatibility with mobile smartphones and tablets, as well as desktop computers. Enhanced 3D graphics make the French Roulette wheel pop off the game screen. European Roulette played with a table full of players. Invite friends and family to join the game. 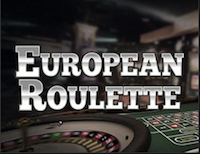 The only version of European Roulette on the site with cinematic-level 3D graphics. Bets ranging from $1 to $1000, so every gambler can sample the trendiest new way to play roulette at Betway Casino. If you want the full casino experience you can find Roulette games run by real people under the Live Casino Tab. These games generally require larger minimum bets and have a multiplayer format. One distinctive difference –apart from actually watching a real ball spin via the live feed– is you are able to interact with the croupier and other players via the chat box. Betway has two different live dealer roulette games: Immersive Roulette and Double-Ball Roulette. 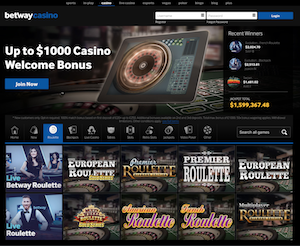 Each provides players with a completely different roulette experience. The choice comes down to whether you want better graphics or more roulette action each spin. Betway’s best graphics are found in Immersive Roulette. Using your game control, players can slow down the action to view an instant replay-style video of the spinning wheel. The video is streamed in real time, so you lose none of the live roulette action you’ve come to expect from Betway Live. Immersive Roulette provides wraparound camera shots, so you know exactly what the croupier, the wheel, and the ball are doing at every instance. You can choose multi-angle shots, to see the game from several angles at once on a split-screen. Live Roulette shot at 200 frames-per-second HD video, so you get the ultimate graphics experience from a live dealer roulette studio. Immersive Roulette immerses you in a live gaming environment, so you feel like you’re in the same room with the live croupiers. Players can clear the wagering requirement on the $1000 live deposit bonus playing Immersive Roulette. Double-Ball Roulette increases the excitement by shooting two roulette balls into the wheel every single spin. This is the online version of brick-and-mortar Double-Ball Roulette, which gained popularity after being introduced in Las Vegas in the 2000s. Two bets ride on every single spin. This doubles your chances of winning. Double-Ball Roulette uses European Roulette rules, so you bet the version of the game with the best house edge. Playing Double-Ball Roulette, you can clear the wagering requirement on the $1000 live deposit bonus at Betway Casino. 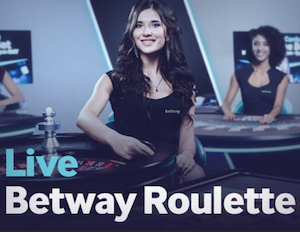 Betway Live Casino now offers a bunch of new roulette variants: Native Speaking Roulette, Speedball Roulette, Slingshot Auto Roulette, Dual Play Roulette, French Roulette, European Roulette, Immersive Lite Roulette, and Mini Live Roulette. 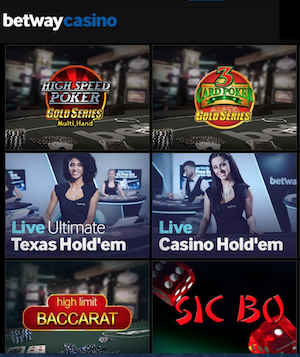 For full details on all the new and classic live dealer games from Betway, make sure to check out the Live Casino page. Of the 500+ games featured in the Betway Casino, a large percentage of them are Slots. There are numerous titles available, many containing movie or video game themes. You can choose 3 reel Slots or one of the many Jackpot games. These link into the progressive pools shared between all the other MicroGaming casino sites. The totals often reach millions of dollars, paying out significant money to the lucky winners. The Video Slots often contain wonderfully animated clips and interactive feature rounds. The Table Game offerings at Betway feature all the tried and tested favorites such as Baccarat and Craps. There are many Casino Poker games and several varieties of Blackjack. They all add unique twists on the classic originals. You can find many Video Poker titles, with a few games duplicated to play over extra lines. You’ll also find Keno, Numbers and Parlor games. All enjoyable though they feature a high element of luck and little skill. If you want to check out one of these have a look at Springo, a colorful and entertaining game based on Roulette. Betway Casino accepts all major forms of payment for deposits. If you wish to pay by credit or debit card, both MasterCard and Visa are accepted, along with their Debit card partners. The site welcomes all major e-wallets such as PayPal and Skrill, which let you move money quickly between casinos. Finally, you might want to try a prepaid method or just a straightforward bank transfer. Withdrawals are generally made via the same method the deposit was made. There may be occasions where this does not work. For example, MasterCard tends to not allow withdrawals. Or, you may have gotten lucky and your balance may be too big to take back to your Visa card. In this case, other methods such as bank transfers or checks can be arranged. If at any time you have any queries the Customer Support team will be happy to help. Visit our Casino Deposit Options page for more information on different ways to fund your casino account. The Welcome Bonus at Betway is split into 3 deposit bonuses. Important: You can only clear one at a time they all must be claimed within 7 days of opening your account. Each bonus requires a play-through of 50x the bonus amount before any withdrawals can be made. Unfortunately, Roulette wagers and play on many table games can only contribute to 8% of the clearance. This means in order to clear these you have to play the Slots or Parlor games, all which offer the house a high edge. You can find ongoing bonuses at Betway. Although, many of these offer similar terms which are not welcoming to Roulette players. The VIP scheme does allow you to gain something. However, as you will automatically collect comp points for every wager you make, these can later be traded in for cash. Keep in mind, you will be risking a lot for a minimal reward this way so it is best to regard it as a small rebate. The Betway Casino is a great looking site with a trusted reputation. It provides a large number of games thanks to the MicroGaming platform, including many Roulette games although a lot of them seem to be better versions of the same game. Their bonus is disappointing, offering very little incentive to Roulette players to deposit here.